Immunization is an essential part of care for adults, including pregnant women, says a new report from the American College of Obstetricians and Gynecologists (ACOG). According to the ACOG’s immunization committee’s opinion, there is no evidence of adverse fetal effects from vaccinating pregnant women with inactivated virus, bacterial vaccines, or toxoids, and a growing body of data demonstrate the safety of such use. Therefore, all pregnant women should receive an influenza vaccination during influenza season and tetanus, diphtheria, and pertussis (Tdap) with each pregnancy, says the ACOG. Influenza vaccination for pregnant women is especially important because pregnant women are at greater risk of maternal morbidity and mortality, in addition to fetal morbidity. Any of the licensed, recommended, age-appropriate inactivated influenza vaccines can safely be given during any trimester, said the ACOG. Additionally, vaccines such as Tdap provide fetal and neonatal benefit through passive transfer of protective antibodies across the placenta. 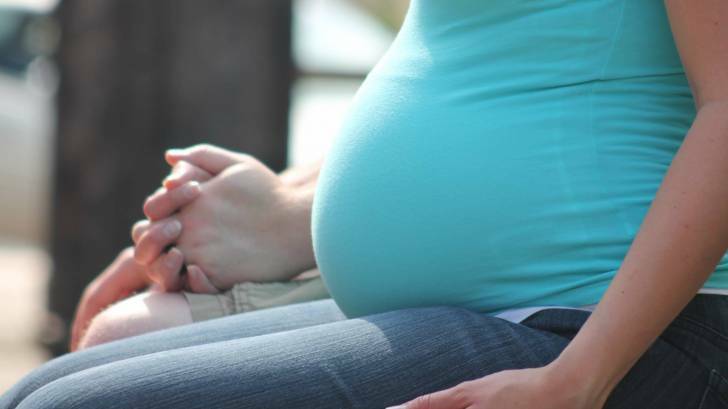 All pregnant women should receive a Tdap vaccine during each pregnancy, as early in the 27–36-weeks-of-gestation window as possible says the ACOG. Other vaccines provide maternal protection from severe morbidity related to specific pathogens such as pneumococcus, meningococcus, and hepatitis for at-risk pregnant women. Previous studies have demonstrated that when the recommendation and availability of vaccination during pregnancy comes directly from a woman’s obstetrician or other obstetric care providers, the odds of vaccine acceptance and receipt are 5-fold to 50-fold higher. Based on this assessment, the ACOG says, obstetrician-gynecologists should recommend and, when possible, administer needed vaccines to their pregnant patients. The ACOG table provides an easy-to-use reference to quickly assess which vaccines a pregnant woman needs and when she should receive those vaccines. The CDC summarizes recommended immunizations during pregnancy based on the Centers for Disease Control and Prevention’s (CDC) Recommended Immunization Schedule for Adults Aged 19 Years or Older, United States and Recommended Immunization Schedule for Children and Adolescents Aged 18 Years or Younger, United States. For information on travel vaccines during pregnancy click here. This Committee Opinion was developed by the American College of Obstetricians and Gynecologists’ Immunization, Infectious Disease, and Public Health Preparedness Expert Work Group, in collaboration with member Kevin A. Ault, MD and Laura E. Riley, MD. All ACOG Committee members and authors have submitted a conflict of interest disclosure statement related to this published product. Any potential conflicts have been considered and managed in accordance with ACOG’s Conflict of Interest Disclosure Policy. The ACOG policies can be found on acog.org.